ICF Construction can be one of the sturdiest, safest methods to use in seismic zones. The key is the reinforcing steel. 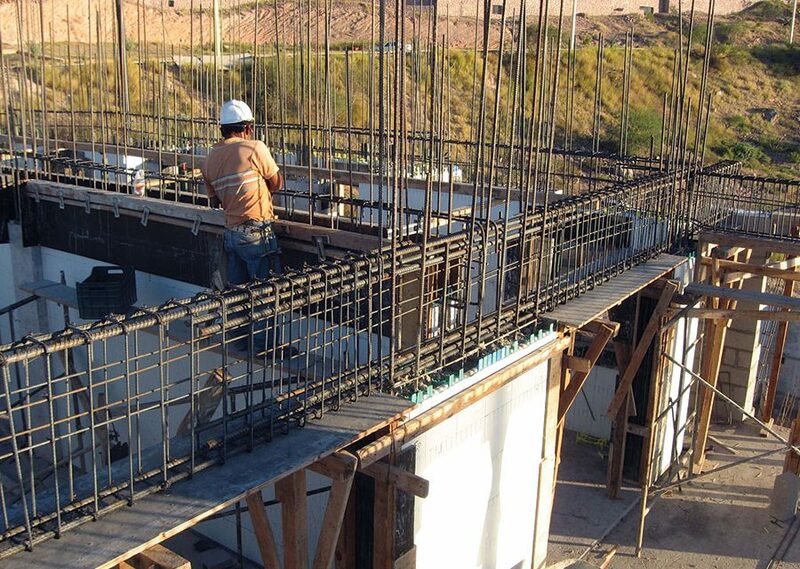 In high-risk areas, such as this beachside hotel in Baja California, Mexico, the rebar requirements can be extreme. construction. However, these claims are very rarely backed up by engineering or even case studies. The recent, widespread devastation in Haiti caused by a massive earthquake has made this even more of an issue for building owners considering ICF construction. News reports showed hundreds—or even hundreds of thousands—of concrete buildings that had failed in the quake, trapping or killing the occupants. ICFs are basically concrete construction encased in foam. Is it smart to choose this building method in earthquake prone areas? 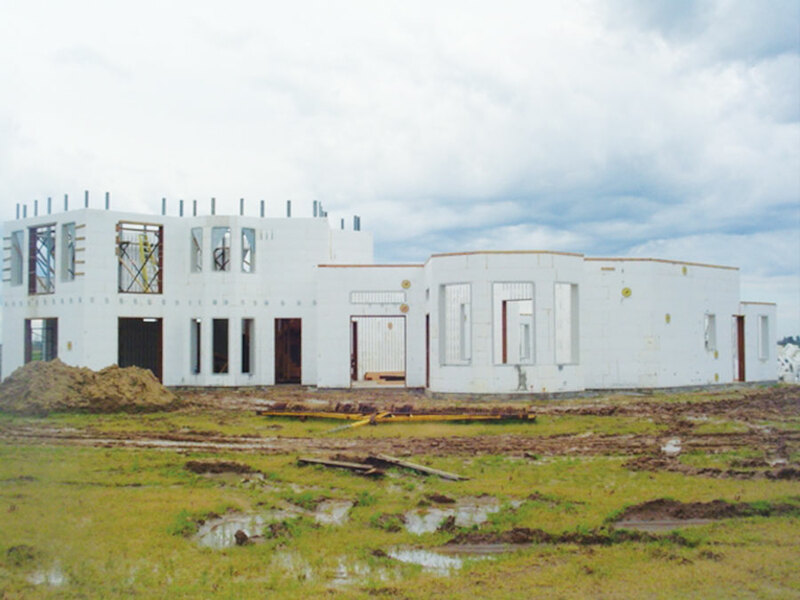 ICF walls can be built to withstand the highest seismic requirements in the nation, and can do so with more design flexibility and at a lower cost than wood frame. Reinforced concrete inside ICF walls are so much stronger than wood frame that designers can add features, such as the large series of windows on this Knights Ferry California home, that would not be possible with other construction methods. The level of seismic protection a project requires depends on local codes, geographic location, soil type, ICF brand, and even the specific home design. The Haitian earthquake of January 2010 was, without a doubt, a disaster of immense proportions. The 7.0 quake killed 250,000, seriously injured or crippled another 300,000, and left a million—about one third of the entire nation—homeless. Often forgotten is the fact that one month later, an even bigger earthquake shook Chile. Rating 8.8 on the Richter scale, it was fifty times more powerful than the Haitian quake, and was centered just a few miles south of a major metropolitan area. Even though construction in the area was overwhelmingly concrete, the damage was much more limited, and caused only a few hundred deaths. The difference in damage was due to the construction standards of each nation. Chilean buildings used reinforced concrete, while the Haitian structures were unreinforced masonry. CTL, a construction materials testing lab near Chicago, subjected five wall types—including three different ICF wall core types—to tensile stresses similar to an earthquake. The results revealed that even a lightly reinforced concrete wall has over six times the racking load as a wood framed wall. As the aftermath in Chile and Haiti showed, the key to getting ICFs to survive in an earthquake is having a sufficient amount of reinforcing steel in the core, with good consolidation around it. In the United States and Canada, this is ensured, because all building plans must be approved by a structural engineer. The engineer can either use the prescriptive code or perform the calculations himself. Good engineering and code inspections, like they had in Chile, will determine whether the building will be virtually indestructible or a virtual death trap. While custom engineering costs more up front, often building costs are reduced enough to create significant overall costs savings. American builders in most areas adhere to either the International Residential Code (IRC) or International Building Code (IBC) The IRC applies only to detached one-family, two-family and multiple single-family (townhouse) structures, three stories and less in height. Anything outside that definition must use the IBC. Both codes use the same map, which designates a building site’s “seismic zone.” This was determined based on fault locations and history of earthquakes. In general, Seismic C is the normal strength of new stick-built homes built nationwide. Seismic D1 and D2 progressively increase the amount of reinforcing bar, bending, placement, and detailing to enhance strength. If the soil is stiff, dense, or rock, you’re okay going by the map. If your soils are soft or spongy, a geotechnical engineer will need to determine classification—it could be Seismic E, off the far end of the map! Typically, seismic engineering is required on the west coast, the Sierra Nevada mountains, isolated pockets in the Rockies (eastern Idaho, western Wyoming, and northern Utah), southern Alaska, and a pocket along the Mississippi River in the western Tennessee, southeastern Missouri area. In Minnesota—a seismic dead zone—reinforcing steel may be a single mat of ½” rebar placed four feet on center. 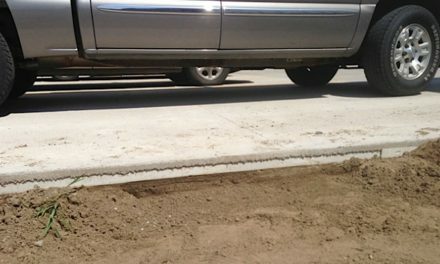 In Utah and California, 16” on center is a minimum, and double mats of #6 rebar, 12” on center are not unheard of. In some areas of the country, such as South Florida, wind loads are higher than earthquake standards and so the rebar spacing is based on that. Also, even though the IRC specifies that seismic design is required for heavy building materials, standard residential construction, including masonry and ICF, generally does not fall into this category. In an effort to reduce some of this confusion, the NAHB Research Center has published a second edition of the Prescriptive Method for Insulating Concrete Forms in Residential Construction, with additional information on Seismic Design in categories C and D (Seismic Zones 3 and 4). 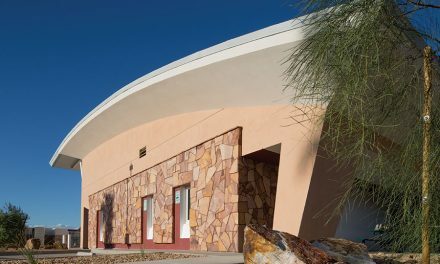 Insulated Concrete Forms create a concrete core that provides the structural strength. 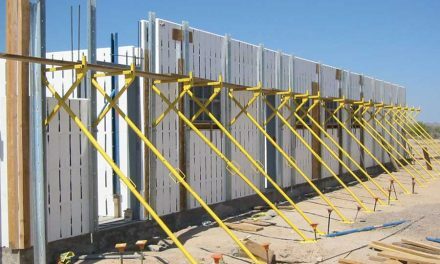 Depending on the brand of ICF used, that core can be either a flat wall of a single thickness, a “waffle grid,” “screen grid” or post-and-beam. One of the reasons for the overwhelming popularity of flat-wall ICFs is that they make it so much easier for engineers to run calculations. For screen-grid ICFs, a book on the topic has been published titled Seismic Evaluation of a Green Building Structural System: ICF Grid Walls. If you are using a screen-grid or post-and-beam system, work closely with the manufacturer’s technical representative and the local engineer of record. Expect some additional hassles in getting your plans approved. 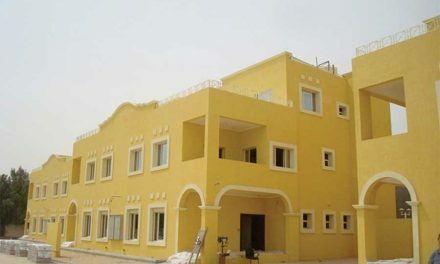 In weighing the type of ICF to use and the level of seismic strength the owner wants, consider the overall cost of the project and not the individual components. Higher seismic resistance will typically increase the cost of materials and labor, but the extent depends on the complexity and size of the project. Most ICF companies will work with the owner and their design team to determine the best balance of strength versus cost for your project. In the aftermath of a series of deadly California earthquakes, a number of universities tried to determine why buildings failed. They found that long walls were stronger than short ones, and solid walls were better than ones with lots of windows and doors. Joints and corners were frequent points of failure. ICF manufacturers have been updating their documentation to take this new information into account. For instance, Logix modified their wall engineering documentation last year, calling for additional connection between footings and walls, and between wall tops and floor frame for jobs done in seismic zones. Interestingly, the new documents do not call for more wall rebar. “With earthquakes, it is all about connections, and thus while the wall rebar remains the same, the connections get reinforced,” says Ian Giesler, an ICF installation expert with experience across North America and the Caribbean. Despite the additional work involved with seismic zone ICF construction, it has proven to be extremely popular in these areas. Two of the largest ICF neighborhoods in the world, Casitas Vera Cruz and Rio Del Sol, are built in earthquake-prone California. Another advantage is that ICF homes can often incorporate larger windows than a similar stick-built home. The higher the seismic zone, the truer this is. Finally, as Giesler mentioned above, during an earthquake, an ICF structure will move like a box in the water. Tying floors, window openings, and walls together with steel is critical. For similar reasons, all else being equal, a home with a basement is better anchored than one without.